President Trump's proposed budget has come down on the side of a privatized air traffic control system. The budget "Initiates a multi-year reauthorization proposal to shift the air traffic control function of the Federal Aviation Administration to an independent, non-governmental organization, making the system more efficient and innovative while maintaining safety. This would benefit the flying public and taxpayers overall," Trump said in his prepared budget message. Congressman Bill Shuster (R-PA), Chair of the House Transportation Committee which is writing the FAA reauthorization bill, proposed privatizing ATC in the bill last year, but the language did not make it through the Senate. 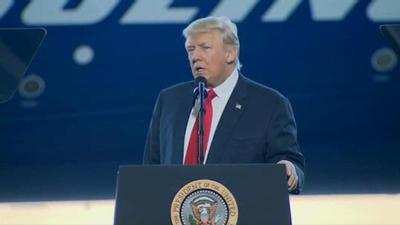 “I commend President Trump for his leadership in calling for restructuring the role of the FAA. This budget takes the next step in what our committee produced last year – separating the air traffic control function from the federal government and establishing an independent, not-for-profit organization to provide this service," Shuster said in a statement posted on the committee website. “The inclusion of this good government infrastructure proposal shows that the president is truly focused on changing the way Washington works. By removing the ATC function from the FAA, Americans will see a more efficient system, flight times decrease, on-time departures increase, emissions reduced, and 21st century technology deployed to guide our planes from gate to gate. On top of that, the FAA will be able to focus on safety and robust oversight of the new not-for-profit service provider. “For too long, the federal government has been the impediment in updating our ATC operation to a world-class, state of the art system. We still rely on WWII-era technology to navigate the most used airspace in the world. 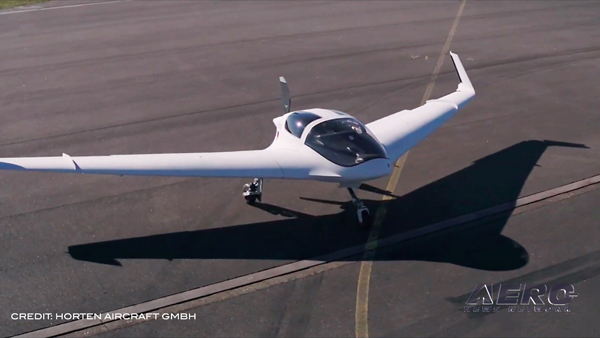 This has stifled innovation and efficiency in our aviation system," Shuster said. “Like any transformative change in Washington, entrenched interest groups will do and say anything to protect their parochial interests. But the facts are not on their side. The president’s budget rejects adherence to the status quo and I applaud his leadership to disrupt the old way of thinking. While the privatization is supported by most major airlines, GA and business aviation interests are strongly opposed to the idea. Many GA and business aviation groups are also strongly opposed to the idea. 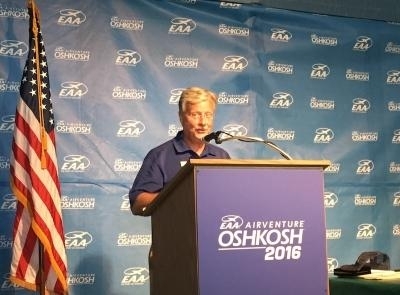 "EAA strongly opposed ATC privatization then, and we strongly oppose it now," said EAA chairman and CEO Jack Pelton. "Removing ATC from FAA control and oversight would pose a significant risk to general aviation’s long-term access to the National Airspace System (NAS). Under such a system, ATC would be overseen and managed by a board made up of commercial interests, with the nation’s airlines having the most powerful and numerous voices. These interests would inevitably drown out whatever token representation and economic impact GA would have on such a board, creating an ATC system that would serve commercial interests with the greatest financial resources. "Proponents of such a system claim it will make our NAS more efficient, comparing the proposal to other privatized systems around the world. But the size and complexity of the U.S. NAS dwarfs those airspace systems, and in many of those systems general aviation has been stifled. "Additionally, proponents claim that the proposals from the White House and prior privatization efforts would save U.S. taxpayers millions of dollars, but fail to specify how that would be achieved when all existing labor and infrastructure costs would be transferred to a corporatized system. The truth is, these proposals do not address the underlying problem of a stable Congressional funding stream for ATC services and system modernization. A privatized system would inevitably rely on the flying public, including general aviation users, for its operations and capital investments, with resources flowing to the areas of greatest economic impact: air carrier hubs and urban facilities. "As such, ATC privatization would likely threaten funding for infrastructure improvements to rural airports such as towers, instrument landing facilities, and other safety-critical needs for general aviation. In fact, consistent with this shift in resources from rural needs to major air carrier commercial operations, the White House budget eliminates funding for the Essential Air Service program, which is designed to preserve commercial air service in rural areas. "Currently, the FAA, and by extension Congress, are the only unbiased arbiters ensuring fair access to the NAS to all of its users. Access today is on a first come, first served basis. 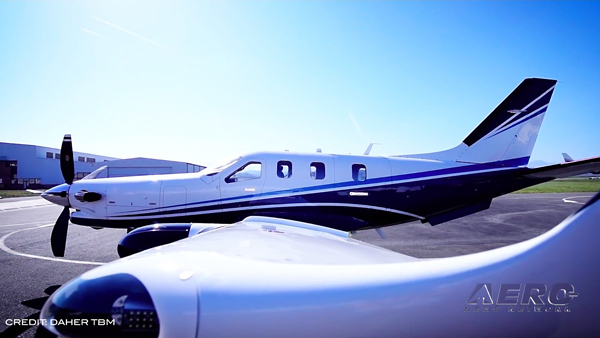 The trend under the FAA’s modernization programs has been toward a best equipped, best served model while still preserving access for general aviation operations that cannot meet new equipment mandates. Once responsibility for the air traffic system is taken out of the hands of the FAA and given to a corporate entity, the fair arbiter is lost and the organization that controls the nation’s airspace becomes beholden solely to commercial and economic interests. Those stakeholders that are the best funded, best equipped, and/or carry the most passengers will likely be the best served in a privatized system. General aviation will lose over time to economically powerful interests whose primary goal is to obtain control over the system and its resources. They will seek to minimize their own direct operating costs by reducing or eliminating services that do not directly address their needs and/or by shifting cost burdens onto other users of the system. "We cannot stress enough the threat ATC privatization poses to our ability to enjoy recreational aviation as freely as we do today. 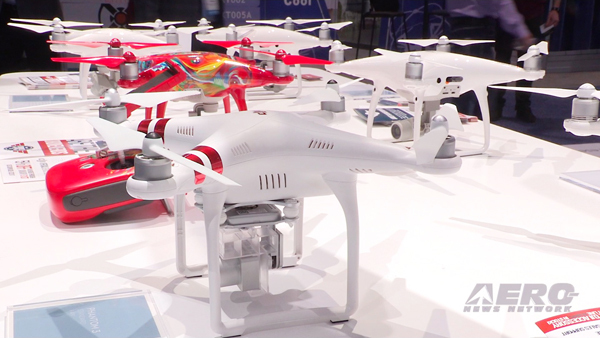 The White House will be relying on Congress to draft this proposal into law under the upcoming FAA reauthorization legislative process intended to be completed by the end of September. EAA is already advocating on Capitol Hill on behalf of our members and general aviation as a whole to ensure any changes to the air traffic control system serve the needs of GA. When there is legislation on which to specifically provide comment, we will be calling upon our members to communicate with their Congressional representatives to make our collective voices heard." The move is also opposed by the NBAA. 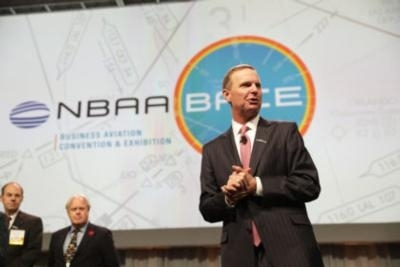 “We know that the notion of privatizing ATC has for decades been pushed by large airlines,” said NBAA president and CEO Ed Bolen. “Under such a proposal, the ATC system – which is a natural monopoly that currently serves the public’s interest, and is overseen by the public’s elected representatives – would be turned over to a non-governmental entity effectively controlled by the airlines. “Under such a scenario, the small and mid-size towns that rely on access to general aviation for everything from civil services, to emergency support, to business access and more, could have their access to airports and airspace threatened,” Bolen continued. “This is among the many important reasons NBAA has long been very concerned over the big airlines’ proposal. Simply put, privatization of the ATC system would benefit commercial airlines at the expense of the citizens, companies and communities that rely general aviation. Similar views were expressed by GAMA, which added in a prepared statement "while there is rightfully a focus on making the FAA work more efficiently and effectively, discussion about removing the air traffic control operation has impeded the implementation of other necessary reforms like certification which are known to deliver efficiency and safety benefits. Certification reform efforts can have an immediate, positive impact for the U.S. economy and the creation of American jobs and should not wait on air traffic control discussions. "Many of the challenges with this type of air traffic control reform proposal have been thoughtfully outlined in recent letters by U.S. Senators Jerry Moran (R-KS) and Amy Klobuchar (D-MN) and the leaders of the U.S. Senate Appropriations Committee. We agree with Secretary Chao and Senators Klobuchar and Moran that before any action is taken, there needs to be a dialogue among all stakeholders, including civil and defense users of the National Airspace System, to achieve national consensus on any potential changes to the U.S. air traffic control system. We need to be certain that as we try to solve specific problems, we do not create others." “NATA is disappointed the budget blueprint contains language to explore corporatizing air traffic control. We believe Transportation Secretary Chao’s call during her confirmation hearing for national dialogue and consensus is a more appropriate way to approach this issue," said association president Martin H. Hiller. "Separating air traffic control from the FAA simply poses too many leaps of faith. Building walls between the FAA’s safety functions and air traffic control responsibilities undermines the integrity of the world’s safest air traffic system. We will lose the momentum resulting from the current deployment of NextGen technology and the partnerships between the FAA and other government agencies. Finally, allowing airlines to establish the costs to operate in the air traffic control system risks investment in rural America and potentially forces general aviation out of the important airports and airways needed to connect the country." “AOPA will review the details of the President’s proposal when they are made available and we will continue to oppose efforts to impose user fees on any segment of general aviation,” said AOPA president Mark Baker. ALPA's focus was more on labor issues that ATC privatization. “ALPA is analyzing President Trump’s FY2018 budget proposal through the lens of our union’s commitment to advancing safety in our skies, representing our members, and ensuring the future of the piloting profession. We are encouraged that the president’s budget includes direction to the Departments of Commerce and Labor to increase their focus on trade enforcement, which is particularly important as foreign interests seek to undermine our trade deals," the union said in a statement. “We are still reviewing the details, but if enacted, the budget outline presented this week appears to include significant cuts to the Department of Transportation and key aviation security programs within the Department of Homeland Security. The potential elimination of the Essential Air Service program and a proposed increase in the Transportation Security Administration fee paid by air travelers are of concern. We await further details on the proposal to “privatize” the nation’s Air Traffic Control system, but maintain ALPA’s long-held position that any plan must not undermine the safety of our skies."